Of course when it comes to Brian Eno, we're pretty much talking Mr Proto-Everything - sampling, ambient music, oblique strategies, I could go on. But less well known is his "A Year" - a one year diary tracking his innumerable largely collaborative works, across a wide range of disciplines. Off The Record jazz radio producer Andrew Dubber flicked me a copy of "A Year With Swollen Appendices: Brian Eno's Diary". It's a tidy, compact little book that emerged some 15 years ago, pretty much on the back of a contractual obligation- but turns out to be incredibly illuminating and inspiring. I WANT THIS LIFE - was my response to the book. Not the jet-setting and the rockstar pals (Bowie and U2 figure prominently), but the freedom to pursue multiple creative opportunities, and to apply a relatively oblique artistic approach, and somehow hold it together with a sense of scale and maintain a rich family life. What was not to like? If I'm honest, I'd have to say I've only tapped a sliver of the freedom I might have. - but nonetheless, getting this intimate an insight into such a masterful creative process has had a long term effect. "A Year" turned up at a point I was stuck, running a music studio that was, frankly, going nowhere - and gave me the courage to step out into a new field: design, and still be able to leverage the creative processes I'd learnt in music production: In particular the process of mixing audio across a stereo 'soundstage' translated well. Not directly, but years finding different ways to balance or align instruments, found a new home as I sought to create order (or otherwise) between visual elements on a page. 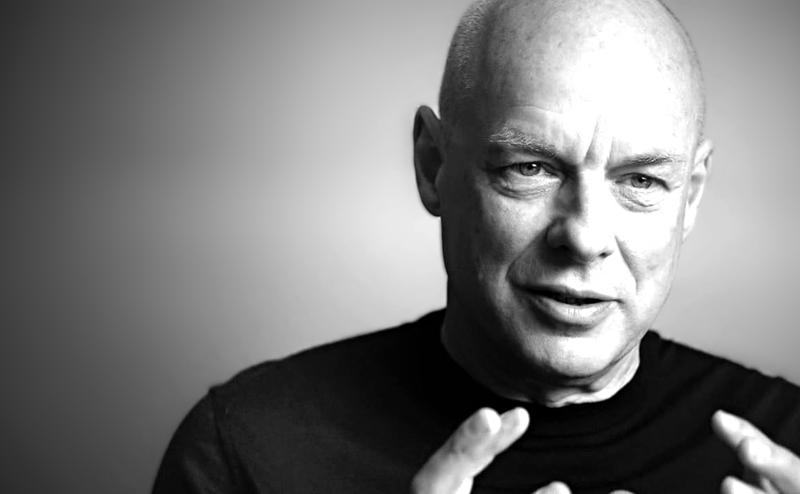 I can't say all of Mr Eno's output has been utterly sock-knocking-off-grade, but his risk-taking, lateral thinking – and his capacity to articulate his approach is something I'll always be grateful for.